The combination of content marketing and automation is a thing of beauty. But executing it well is something else. It's about thinking big and drilling into the detail. It takes skill, trial and error and painstaking attention to detail. I recently spoke with Jamie McCalman, who has been able to package together these qualities and deliver stunning results. 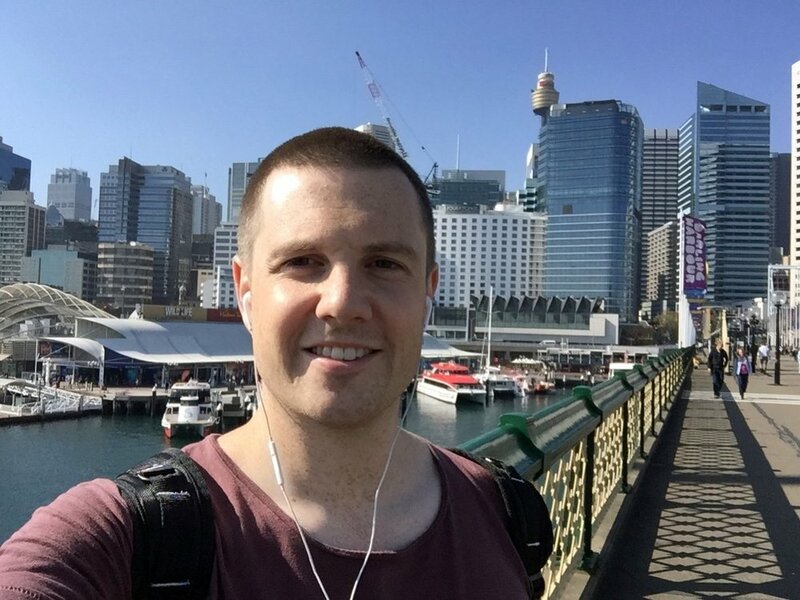 Jamie is a digital marketer with a track record of success across large and ASX-listed companies including AHG Ltd and Hastings Deering (Caterpillar). Over the past two years he has worked at Silver Chef Ltd, where he was an innovation finalist in the hospitality industry’s flagship annual awards ceremony alongside big brands like Nestle. Jamie's digital initiatives at Silver Chef including an email marketing automation platform that has directly contributed almost $5 million in revenue to the company. What’s your approach to engagement and lead nurturing – bringing non-customers through the funnel and converting into customers? Silver Chef publish massive amounts of content and hundreds of prospects find their way into the top of our funnel on a weekly basis. A lot of these prospects could be years away from actually being ready to do business with us. One of our most popular content pieces is the hard-copy book, ‘Starting a Restaurant for Dummies’, which Silver Chef has the licence to distribute. Someone accessing that (a self-proclaimed restaurateur “dummy”) can be a long way away from actually starting a hospitality business and funding equipment. Marketing automation then is the key to nurturing these prospects from wanting information on how to start or run a hospitality business, to becoming a Silver Chef customer. They key for me is relevance. When a prospect enters the top of our funnel, I’ve set up a series of qualification emails. Depending on how the prospect responds to those emails, we immediately gain an understanding into their persona and intentions. Thus, we can place that prospect on a highly personalised drip program. A simplified example of this is below. Once they’re on a relevant drip program, it’s about content mapping to ensure what we’re sending the prospect meets their needs throughout their journey. The closer they get to zero hour, the warmer you want the content to become. So the drip program may progress from purely value-add eBooks and content; to case studies on the Silver Chef product; to the type of equipment they’d need for their business; to eventually, that big juicy promotional email right around the time they’d start to think about funding equipment. What is a drip campaign and how do you map the path from beginning to end? A drip program, also known as a lead nurture program, is where you deliver marketing resources to a prospect in a gradual, staged approach. The idea is to gradually nurture, or drip feed resources to a prospect in a way that matches their progression through their lifecyle from their first interaction with your company to the point at which they’re ready to purchase. The old-school approach is to blast all the information you have to a prospect as soon as you get their details. It’s kind of like going on a first date and reeling off your plans for a house, marriage, kids and grandchildren. You’re probably going to overwhelm your date and scare them off – and the same applies to marketing. You need to figure out where they are in the lifecycle and tailor your content accordingly. Mapping the path is going to involve at least some degree of guesswork, at least initially. The qualification emails I referred to above will help place a prospect on a relevant drip program. From there, it all depends on the level of insight you have on your buyer personas and buyer journey. The good news is that, even if you don’t have a great deal of insight on your buyer personas, building and modifying a drip program is an extremely fluid process that can easily be adapted after analysing the data. I’d still do some customer research though if you can, even if it’s only a few customers to start shaping your first attempts at a drip program. Firstly, not setting-and-forgetting. All that time you’re saving from building and sending emails (which this drip program is now doing on your behalf) shouldn’t be spent high-fiving the office on being on the front-foot of marketing automation. You want to use that time saved by analysing the data of your drip programs and seeking ways to improve it. It’s fascinating working your way through a drip program and identifying the bottle-necks. That is, where prospects are slowing down and failing to enage with a particular step in the drip program. You can then tweak the content in that step, change that step of the drip program or even remove that step entirely. Drip programs are essentially drag and drop in most of the main marketing automation platforms these days, so it’s extremely easy to be agile and optimise drip programs to ensure it best serves the prospects on it. Secondly, make sure you’re creating ultra-personalised experiences. An analogy I use is like dropping a handful of sand into a bucket of rocks. Every granule of sand should be able to take a different journey through the rocks. This means relevant, highly engaging content. It’s about the right content, at the right time, to the right person. What’s your approach to data and analytics to optimise performance of these campaigns? I’m a big fan of lifecycle charts that enable you to view the average time to nurture a prospect from a prospect to marketing qualified lead (example image below). It’s also great because it shows the overall health of the entire sales cycle, not just marketing. For example, if marketing are converting a prospect to a marketing qualified lead in 10 days, but the sales team are taking 60 days to convert that lead to a sale, it may be a sales issue. If marketing are taking 60 days to turn a website visitor into a prospect, a further 30 days to turn a prospect into a qualified lead, and sales are only taking 10 days to convert that lead to a sale, it may be a marketing issue. Also, if sales aren’t converting the leads your passing through to them, it’s possible your lead scoring is not set correctly. Make sure you speak with your sales team and run your scoring by them. You want to condition the sales team that every marketing qualified lead that comes through is hot property and should be jumped on. If your scoring is off and you’re sending prospects through who aren’t sales qualified, it won’t take them long to start disregarding leads. On an individual drip program basis, it’s about drilling down to individual steps. For example, why are 88% of prospects not interacting with this item of content on the drip program? Is it too early/late in the buyer lifecycle? Is the content not relevant/interesting? Lastly, look at the activity history of prospects who have turned into customers and using that to content map. With marketing automation, once you acquire a prospect’s browser cookie you can track their interactions with your online resources. This can give you a fascinating insight into the journey a prospect goes through prior to becoming a customer. Use that to help formulate your drip programs, especially if you can’t get in front of your customers. What KPIs do you use to benchmark performance? Leads, revenue and conversion rate of marketing qualified leads. Beyond the results of A/B testing, I pay little attention to open rate and little attention to click through rate as a success measure for an EDM. Many will still say these are important metrics, but I find if you’re sending the right emails to the right prospects at the right time, that will eventually be reflected in that prospect becoming a customer. That’s when you can say your emails and email marketing strategy is successful. Which elements do you see as best practice in email marketing now? Anything involving personalisation, and I don’t mean variable tags. 5 years ago, personalised meant addressing an email to a prospect’s name. These days, personalisation in email marketing encompasses a different meaning. Personalised now means providing a 1-to-1 experience and establishing a 1-to-1 relationship online similar to if the prospect was on the phone or speaking with a sales rep face-to-face. This is an example of how we guard against disruption as well. By building 1-to-1 relationships directly with prospects online, we become less reliant on face-to-face, bricks-and-mortar interactions to sell our product. Personalised now means the right message, on the right platform, at the right time, to the right prospect. Which common mistakes do you see email marketers make? Too many brands still employ universal unsubscribes. A universal unsubscribe rapidly reduces a database size by removing a recipient from all communication. Instead, a preference centre allows a recipient to choose the types of communication that is of interest to them. This means more relevant communication for them (with the knock-on effect of higher engagement in our emails), and us preserving our database size. Make sure it’s not overly difficult to unsubscribe though or recipients will flag your message as spam and block you as sender, which will affect your deliverability. For all the talk of advanced automation - there’s still room to discuss email design, formatting and layout. You can have a sound email marketing strategy but if your emails look awful, all the personalisation in the word isn’t going to help you. Ensure your emails are responsive on mobile and develop clean, simple templates that flow and contain obvious calls to action. Which email automation tools and platforms would you recommend? I have used Marketo, Hubspot and Pardot. My preference is Pardot. The one to keep an eye on is Salesforce Marketing Cloud, which seems like an evolution on what we currently class as marketing automation. For example, ‘Einstein’ is a Salesforce AI platform that learns from the historic data of prospects and customers, and subsequently delivers predictions as to the next sales, marketing or customer service action. In terms of tools, lead nurturing is of course a significant component of any automation platform for the reasons outlined above. Lead scoring and grading is one of my favourite tools. Lead scoring allows you to find out who your most valuable prospect are and set triggers based on a prospect reaching a certain score. The most common, out-of-the-box example would be a prospect reaching a score of 100, and thus becoming a marketing qualified lead and passed to sales. Lead grading is also extremely useful. Think of lead scoring as a measure of how interested a prospect is in you (the higher their score, the more they’ve interacted with your brand). Lead grading relates to how interested a company should be in the prospect. You can grade prospects from A-F based on their perceived value to the company. For example, a prospect who has a score of 100 is still useless if they’re never going to purchase. Progressive profiling can help with lead grading and I cover this below. Progressive profiling is about gradually building up information on a prospect and helping conversion rate on your website. For example, if a prospect has already filled in a form with 5 fields and we have their browser cookie or email address, why would we make them fill in all 5 fields again if they arrive at another form in the future? We could just ask them to enter their name and email. Filling in two forms fields going to lead to a far greater chance of a conversion rather than filling in 5 form fields. Better yet, if we only need that prospect to complete two fields, why don’t we add a couple of new fields to build a profile on that prospect. For example, let's ask their name, email address and position title. We can then have an automation rule that assigns a prospect a grade of A+ if their position title matches terms like, “Director”, “procurement”, “purchaser” etc. If their position title matches terms like “student”, “assistant” or otherwise we may wish to assign that prospect a lower grade. I also utilise features such as automated triggers, where we send automated emails to the sales team if prospects perform certain actions or visit high-value page on our websites; as well as of course visitor tracking. Where does social media fit and complement the strategy? Firstly, social should be a vital cog in your prospect acquisition strategy. You can also map your remarketing on social to coincide with your nurture journeys. For example, if a prospect downloads ‘X’ eBook and the next email in that prospect’s drip program is ‘Y’ eBook, we can start advertising ‘Y’ eBook to that prospect on social. That means they will have had several repetitions on the eBook prior to it arriving in their inbox. Social can also contribute to lead scoring and visitor tracking. This integration tells us which messages on which social channel were of most interest to which prospects and eventual customers.